Knopf Books for Young Readers, 9780385392839, 32pp. A charming read-aloud picture book about learning to be yourself, filled with movement and including a page with fun facts about bugs! Fly can’t wiggle like a worm. He can’t jump like a grasshopper. And he can’t swing like a spider. Don’t give up, Fly! Keep trying, and with a little help from your garden friends, you’ll find your own special talent. 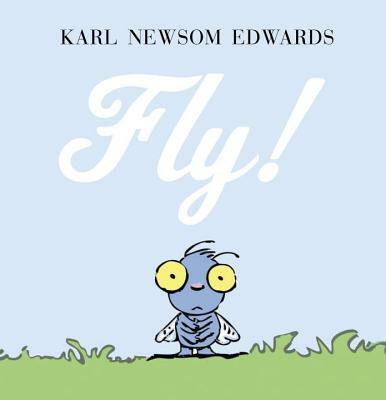 From acclaimed illustrator Karl Newsom Edwards, this is a story about self-discovery through perseverance that encourages toddlers to get up and move to their own buggy groove! Karl Newsom Edwards is a first-time author and longtime illustrator whose clients range from Nickelodeon to Johnson & Johnson. He has a range of styles and lives in Portland, Oregon. Learn more at karledwards.com.